Love wasn't supposed to be a part of the deal…b**ut someone forgot to clue in their hearts. Even a famed matchmaker like Nolan Madaris's great–grandmother can't get it right every time. 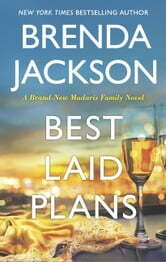 Nolan, the notorious fun–loving ladies' man, could never connect with someone as straitlaced as tech whiz Ivy Chapman. Yet the scheme Ivy proposes is tempting – they can pretend to be a couple, just long enough to satisfy their families.